Here you are able to apply to join the ASA and if you are a member of the AIP, you will qualify for a discounted membership. NB Discounts vary dependant on the level of membership you are applying for (please make sure to have a note of your AIP membership number as this will be required during the application stage). If necessary, please review the Categories of MEMBERSHIP and COSTS before proceeding. If you are AREN'T a member of the AIP you can still join HERE. Full Member with AIP Discount - $150.00 (AUD) Subscription period: 1 year, on: January 1st Automatic renewal (recurring payments) Ph.D. graduates (or equivalent) in astronomy, or others who have contributed to the advancement of astronomy through research or education may be elected Full Members. Winners of many of the Society's Awards and others invited by Council may also be Full Members. Full Members of the ASA are entitled to use the initials MASA after their names. Note that amateur astronomers are not normally ASA members unless they a strong involvement in astronomical research programs or astronomical education/communication. Fellow with AIP Discount - $180.91 (AUD) Subscription period: 1 year, on: January 1st Automatic renewal (recurring payments) A Fellow is a person with an established record in astronomical research, usually having at least 8 to 10 years of postdoctoral experience and having been a primary contributor to at least 10 well-regarded research papers in refereed astronomical journals. 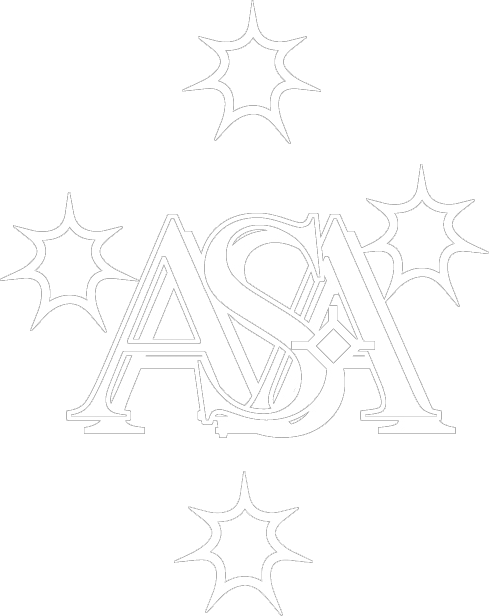 Fellows of the ASA are entitled to use the initials FASA after their names. Associate Member with AIP Discount - $71.82 (AUD) Subscription period: 1 year, on: January 1st Automatic renewal (recurring payments) Educators, science communicators, or others such as distinguished amateur astronomers, who have a demonstrated dedication to the advancement of astronomy may be elected as Associate Members. Once you have submitted your application, you will receive an email notification of your account and login details for future use. This will include a unique and automatically generated password which can be changed at your first log in. These login details will be the email address used to create your account and a password that is automatically generated for you (don’t worry you can change your password later). As part of your application, your must supply 2 Proposers, this is a necessary condition of the process and no application will be approved without these details. Your Proposers must email the ASA Secretary (asa.secretary@sydney.edu.au) clearly indicating that they are proposing you as an ASA member. An application for membership requires approval and you will be notified by email of the result of your application. However, payment is required in full by credit card (Visa and Mastercard only) at the time of application. Should your membership be rejected, the membership fee will be credited back to your account. The membership application will not be approved without prior payment. If payment fails or is not completed for any reason, an account will still be created and payment can be made by logging into your account. This must be done before the membership will be processed.